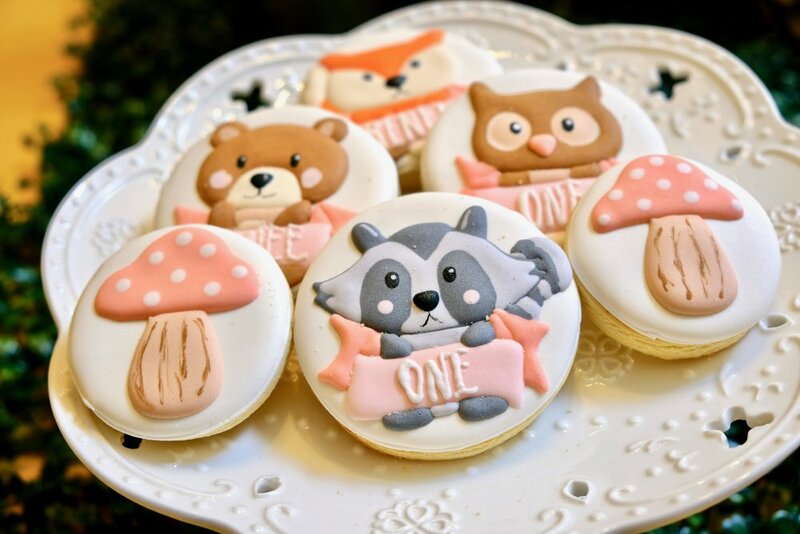 Renee’s Enchanted Forest party was a small intimate gathering with just close friends to celebrate her turning one. When we visited the venue, we saw it was already nice enough that we didn’t have to do too much (love it whenever this is the case - nothing like great interiors). Renee’s mom wanted to highlight the food table instead of the dessert table so this is where we focused most of our time. 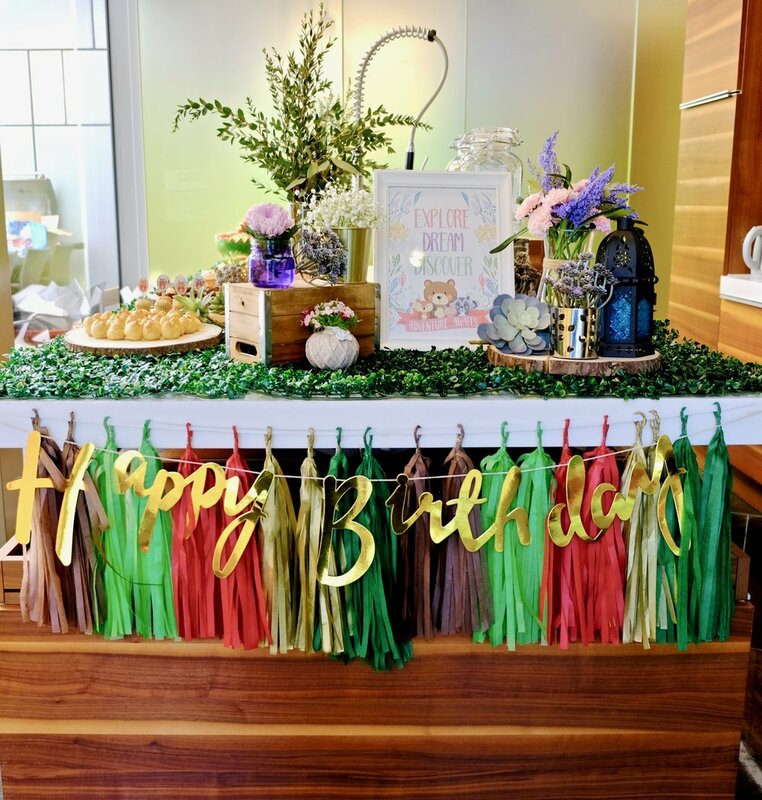 We had grass runners running down the counter, log platters to serve all the delicious food, and a special little vignette to welcome everyone to the party as this is the first thing they see. We also added some mushroom lanterns hanging from the ceiling for that extra cuteness factor. 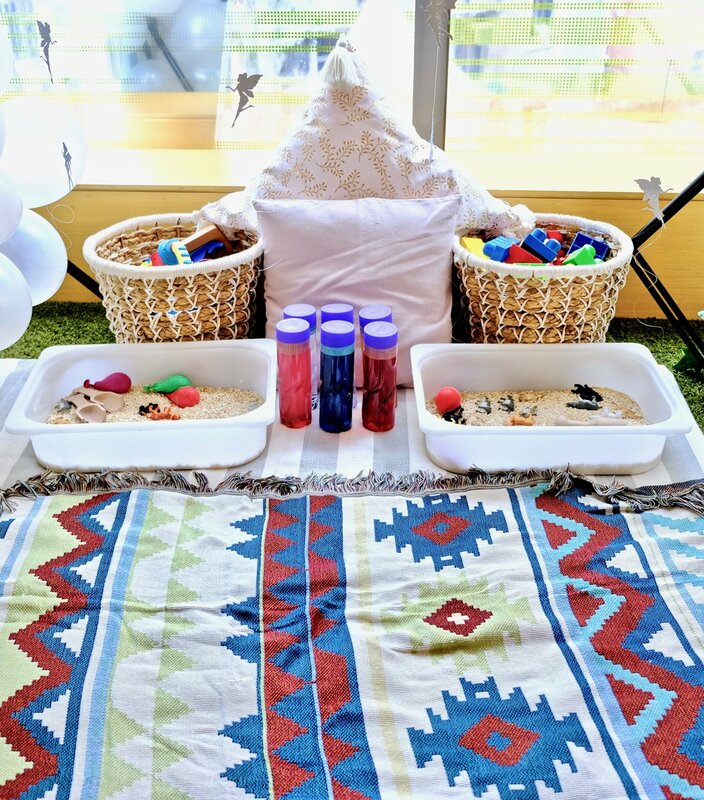 Since most guests are just babies, we also made an extra special sensory play area for the kids. 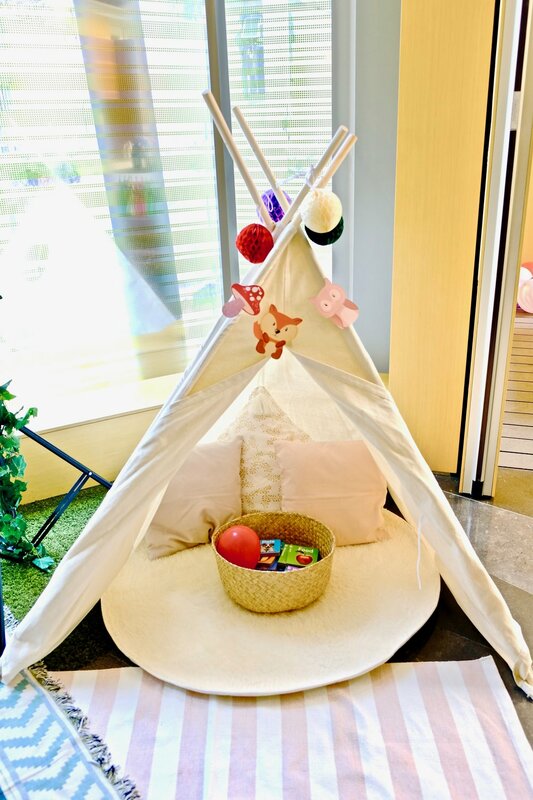 We had woodland animal cutouts, glitter fairy garlands, and whimsical white balloons that accented a cute little teepee, boho rugs and baskets filled with toys. 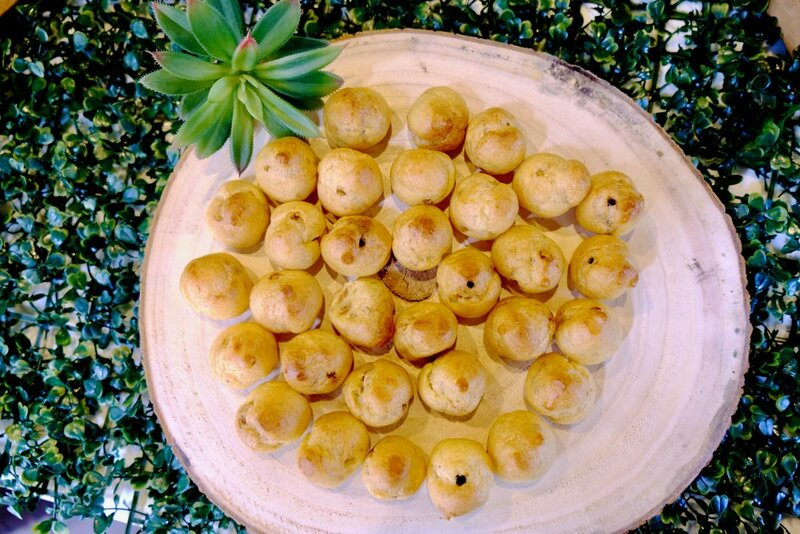 Though the focus wasn’t on the dessert table, we still wanted to do something for it. 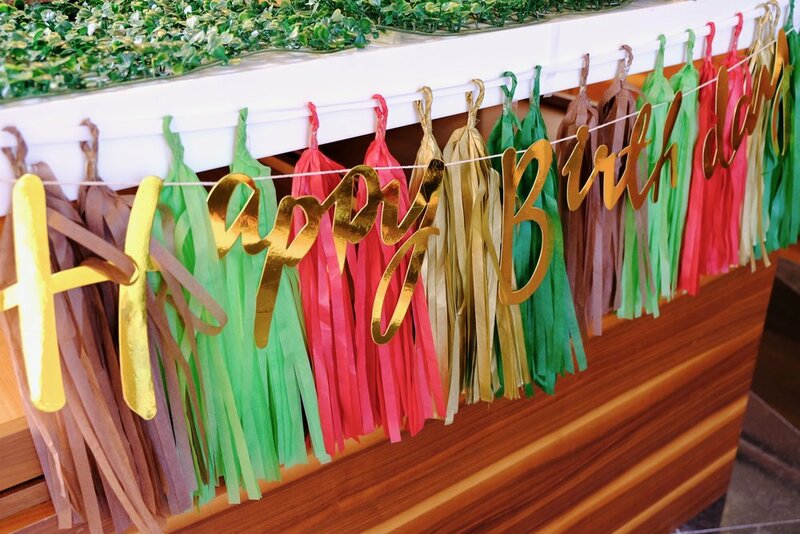 We created this wreath with a big, monogrammed R as the backdrop for the dessert table. We had wooden crates and cute little desserts to add to the birthday cake the mom ordered.